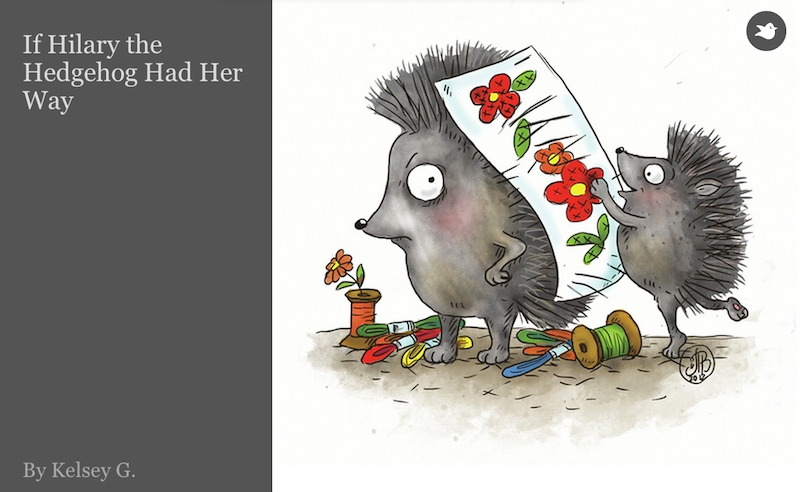 Please read my story: If Hilary the Hedgehog Had Her Way and let me know what you think! This was my first time using Storybird. It is a free, easy to use website that allows teachers and students to create unique, imaginative stories. I was frustrated with the site at first because I could not brainstorm a story glancing through the photos, but once I found a group of photos and started writing I really got into it. It definitely is a different writing process than I am used to and takes some practice, but I see the benefits of it. The approach of initiating creativity through visuals is interesting. I was excited to learn a new tool and I’m looking forward to hopefully using it more in the future and helping others make the most out of this site!